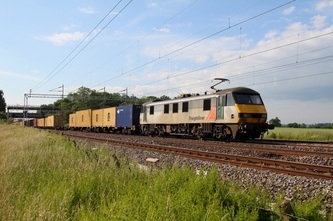 DRS 37612 leads Virgin barrier coaches MK2s 3344 and 5952 and recently refurbished FGW MK3s coaches 42385 and 42501 (converted from previously FGW MK3 Buffet cars) sandwiched inbetween the barriers, powering south at Ashchurch on the 26th June 2012. The consist had originated from Kilmarnock Barclay at 08:20 as 5Z56 with DCR loco 56312 in charge (56312 now without the Railfest branding). However, unfortunately the Grid failed whilst working the train and was dumped in Eden Valley Goods Loop before being rescued by DRS 37612. 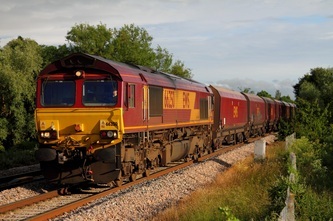 The Grid was inevitably dropped off at Washwood Heath and the Growler continued with 5Z56 to Laira about 3 hours behind schedule. 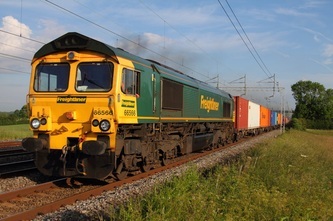 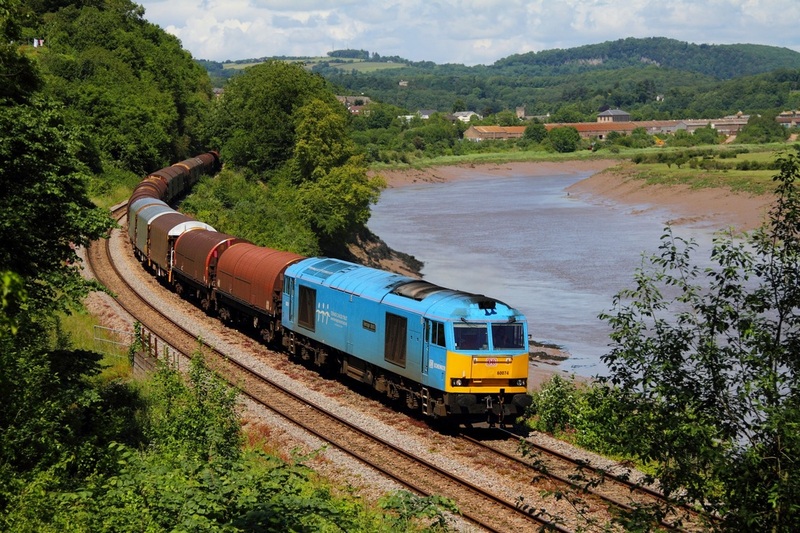 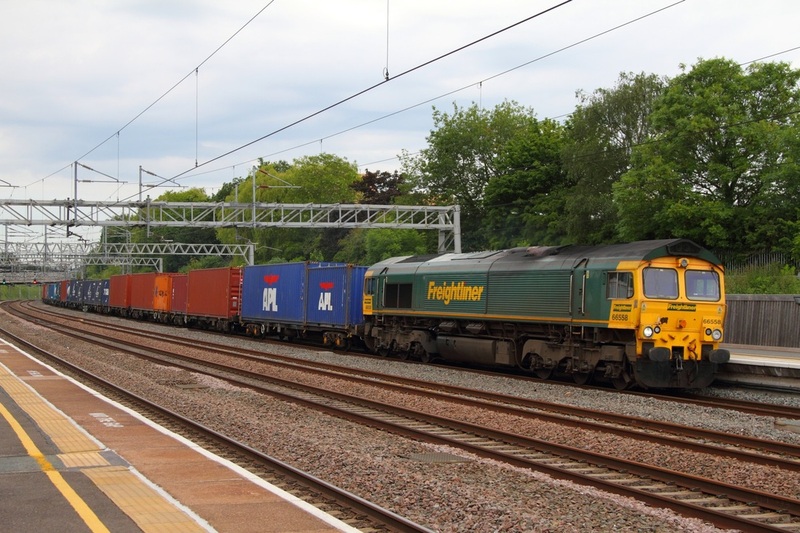 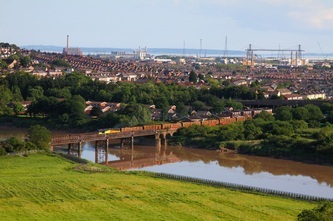 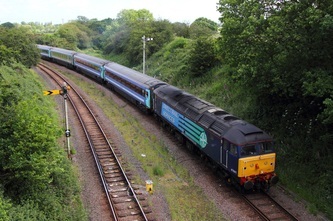 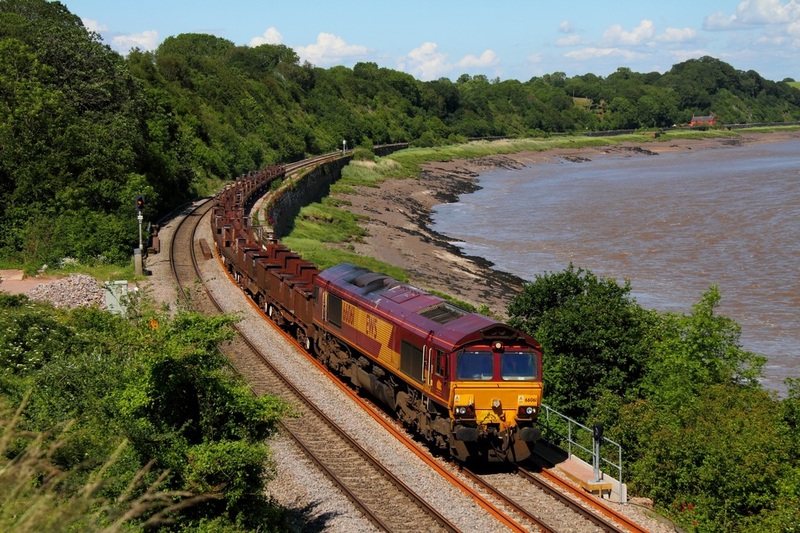 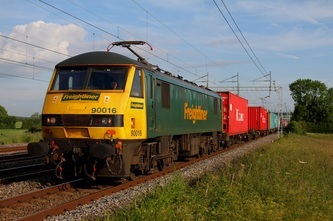 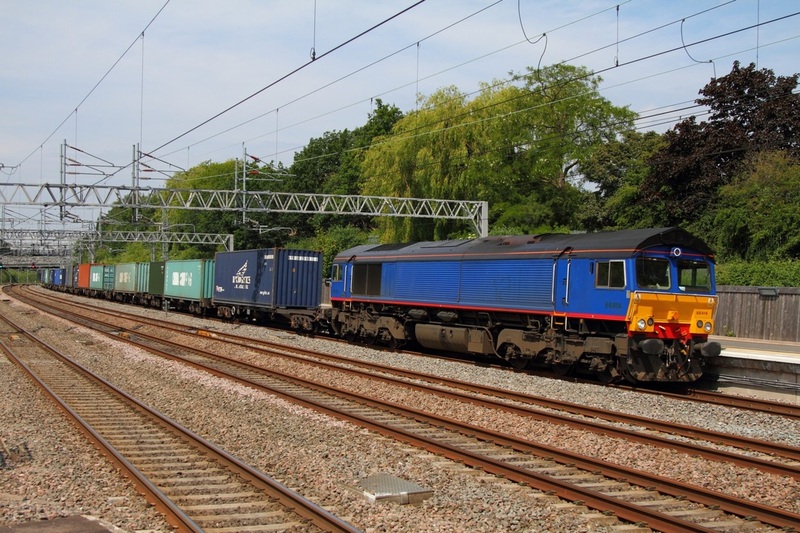 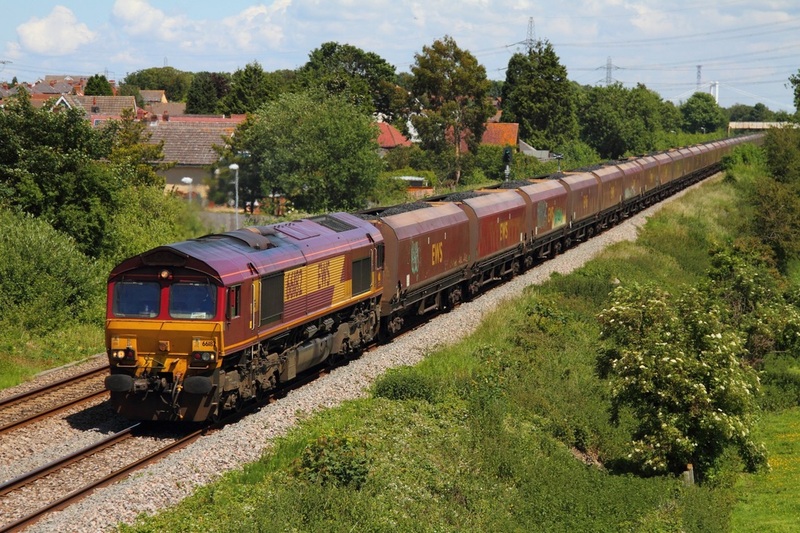 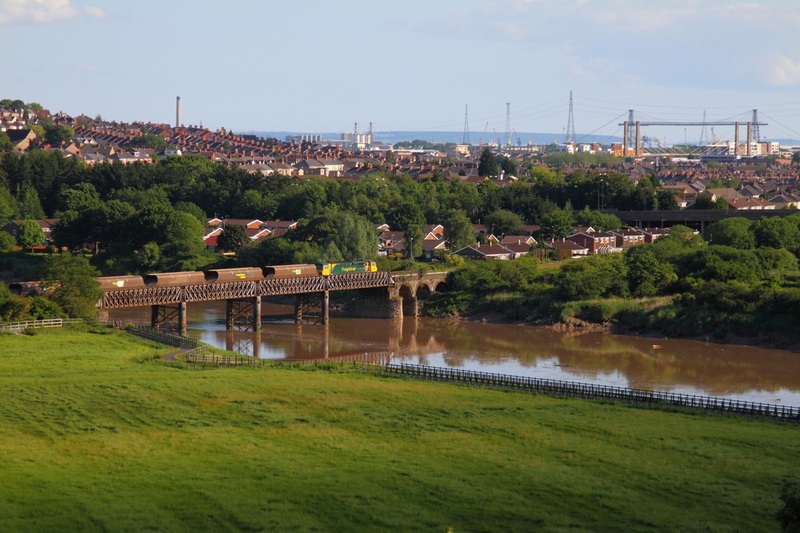 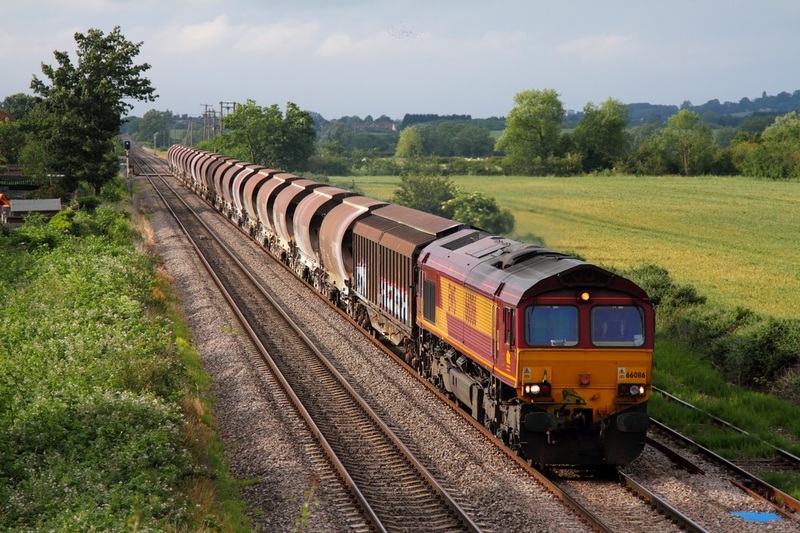 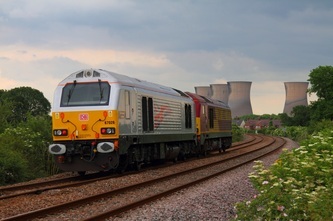 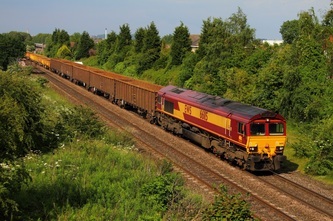 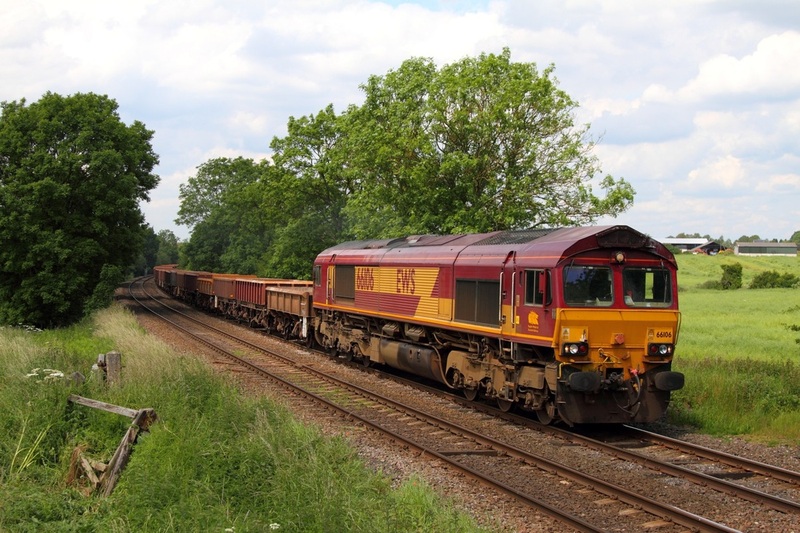 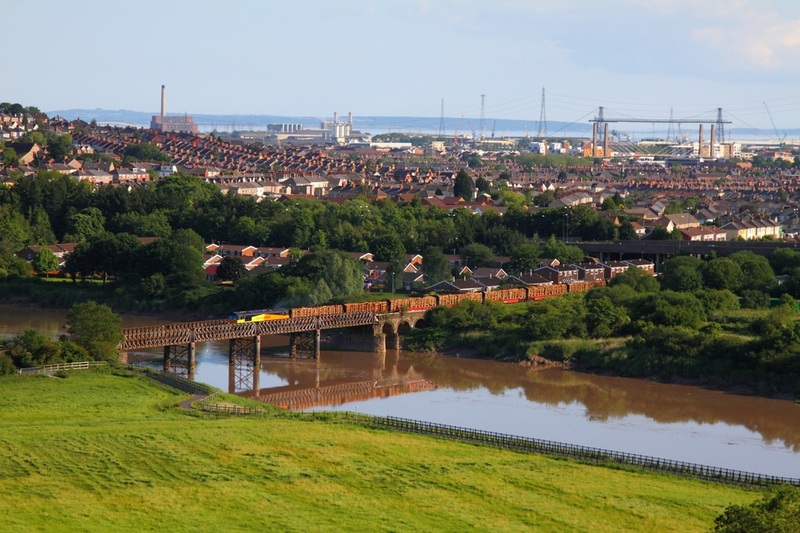 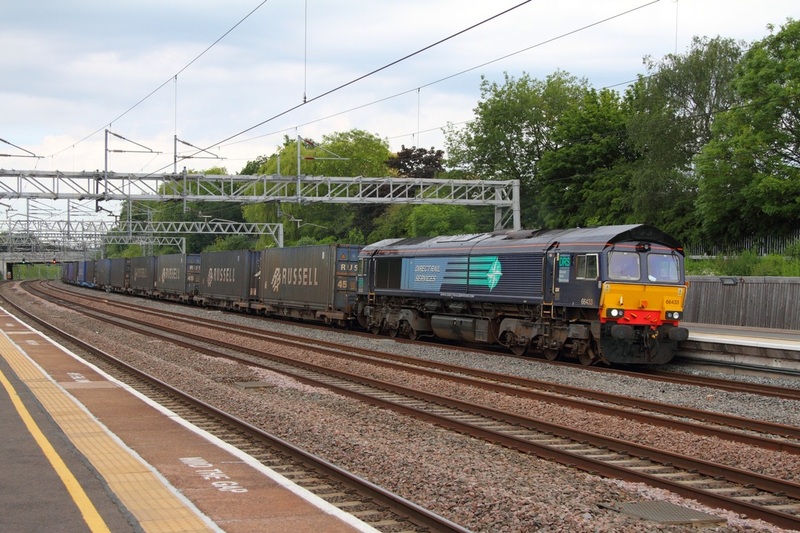 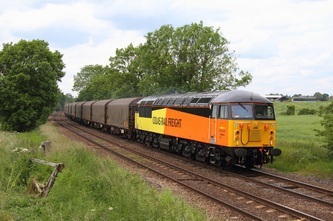 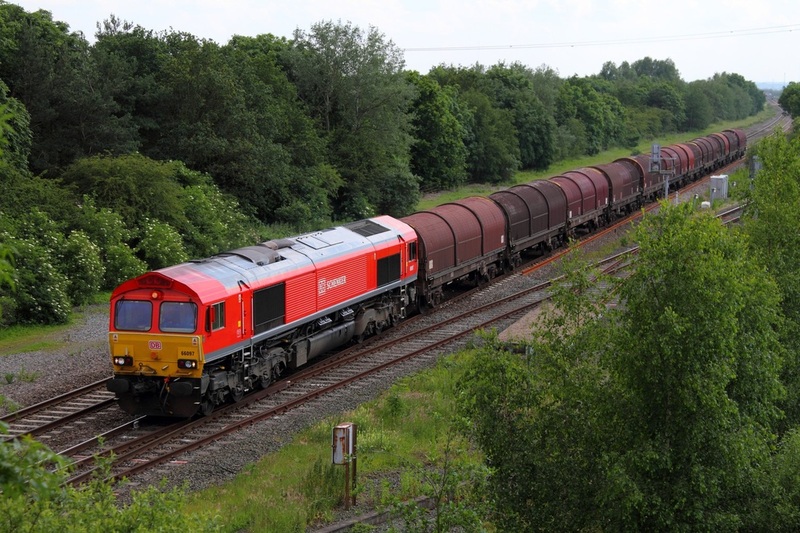 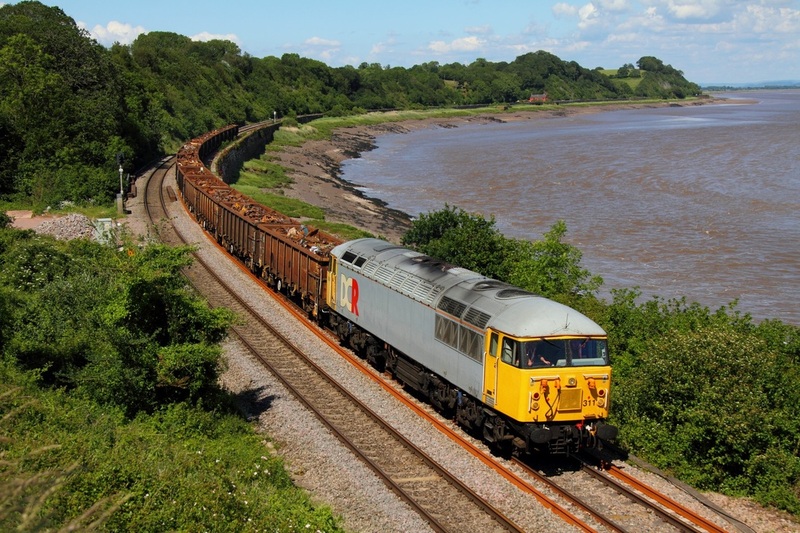 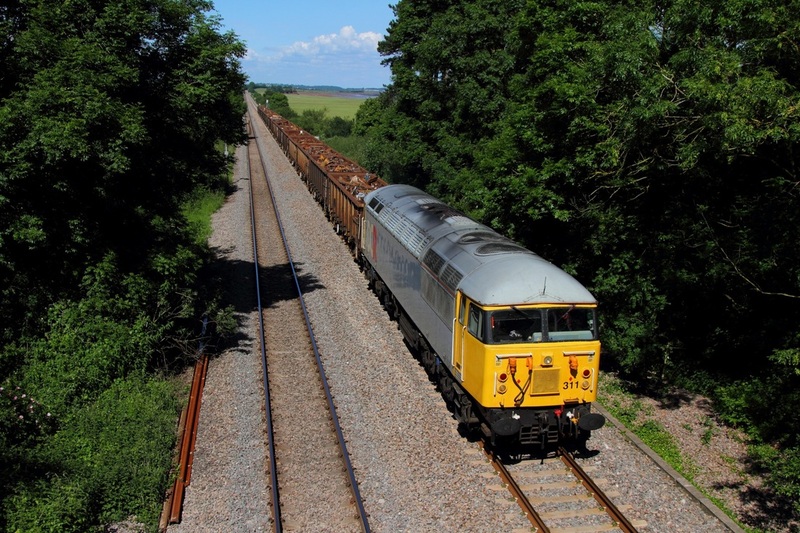 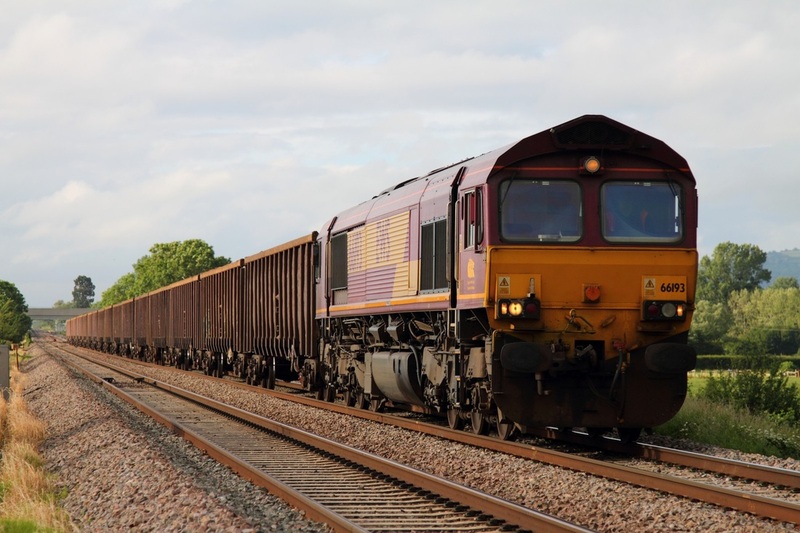 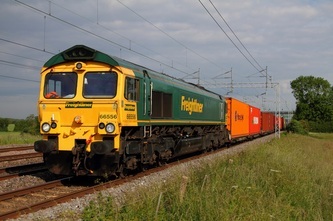 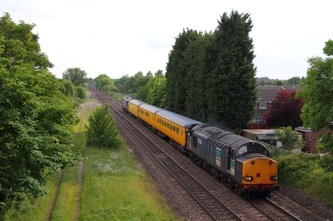 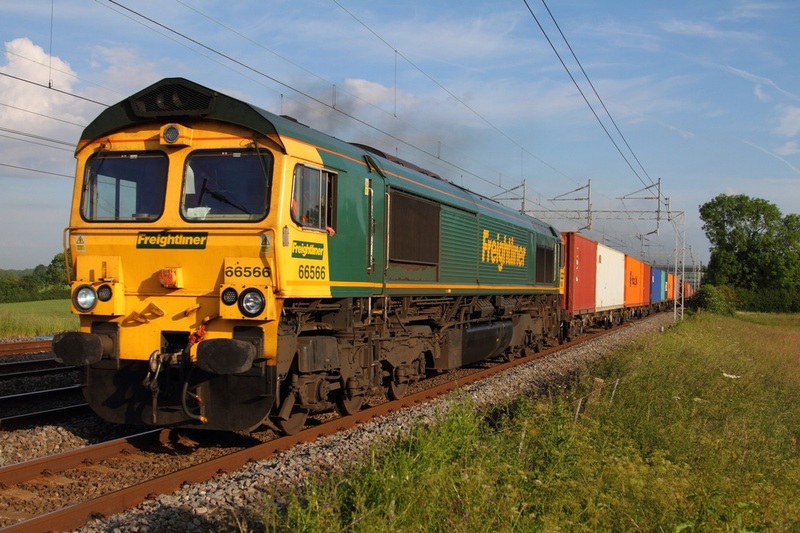 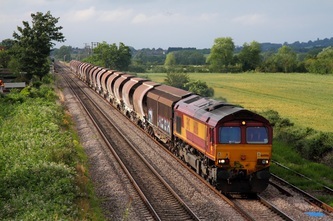 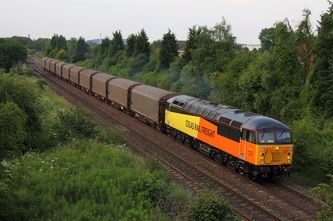 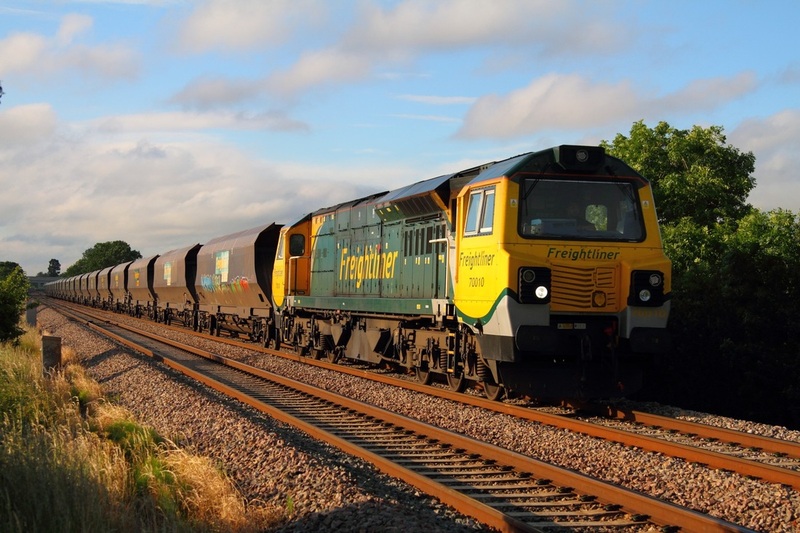 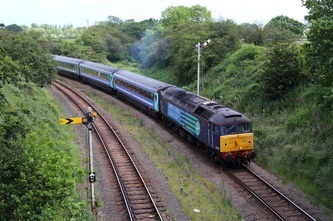 Freightliner 70010 powers the mighty 4V57 Rugeley to Stoke Gifford coal train at Ashchurch on the 26th June 2012. 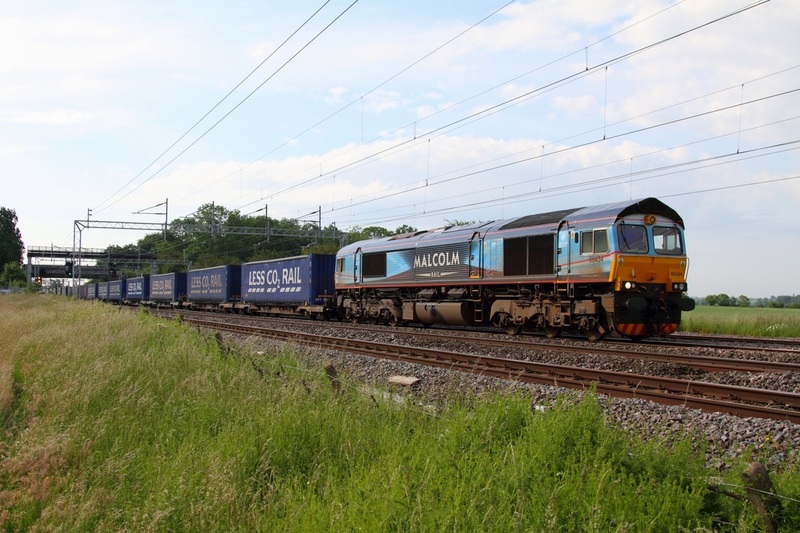 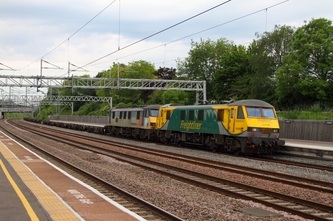 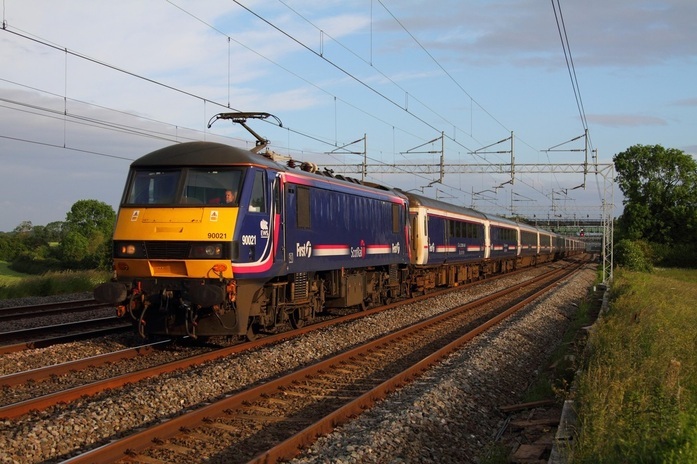 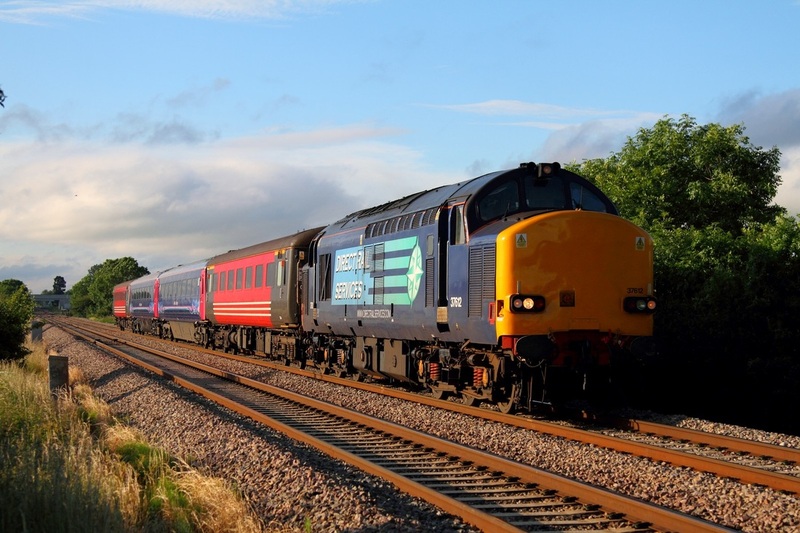 Scotrail liveried 90021 hauls the 1M16 Inverness to London Euston Scotrail Night Sleeper at Cathiron on the 23rd June 2012. 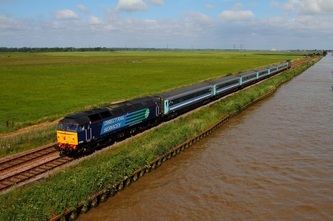 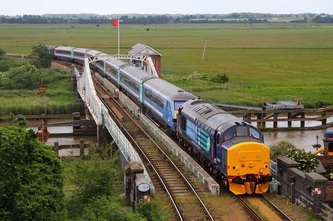 DRS 47828 leads 37419 on the 1G92 09:28 Norwich to Lowestoft at Haddiscoe on the 23rd June 2012. 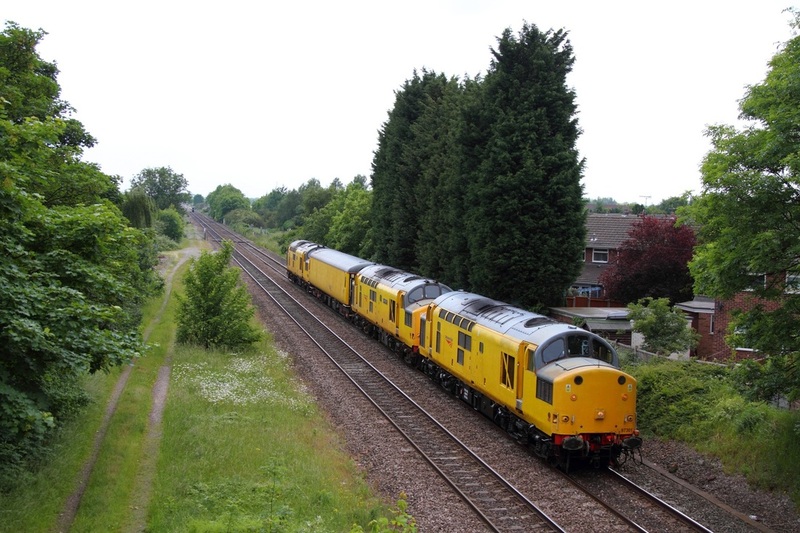 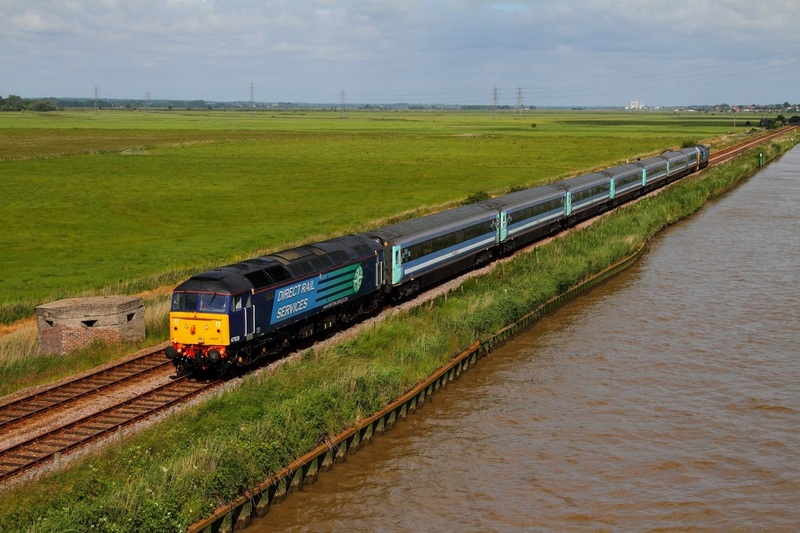 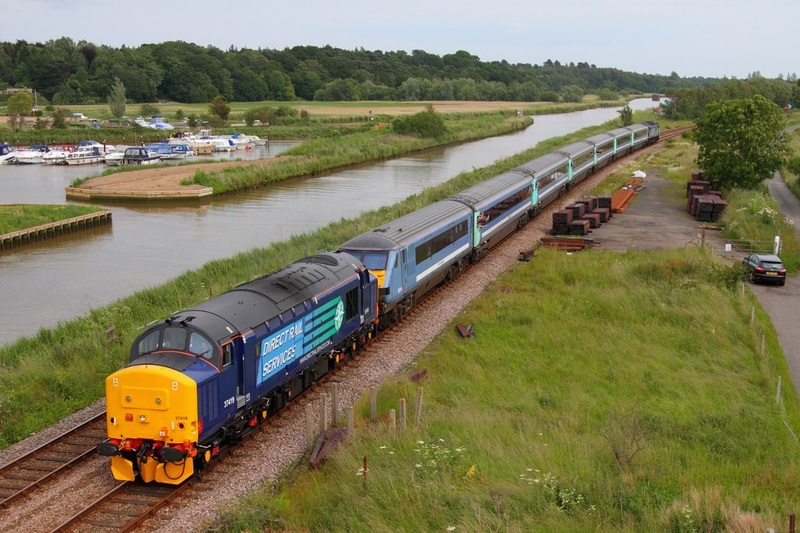 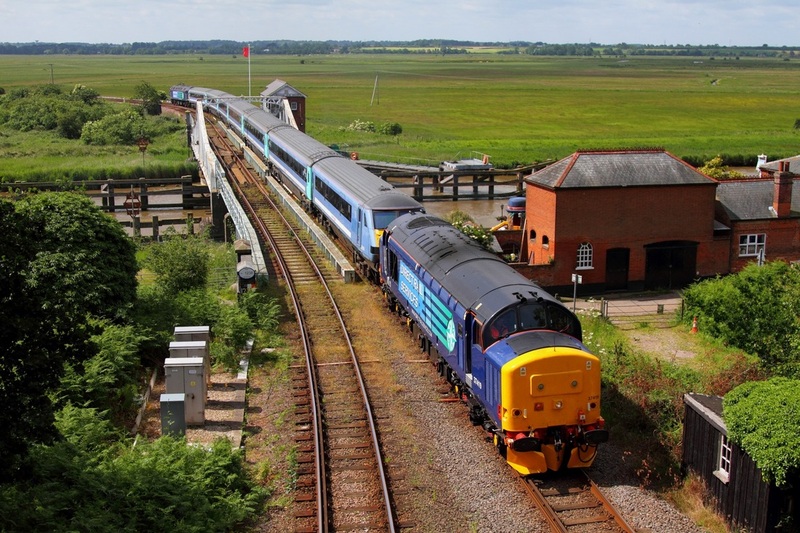 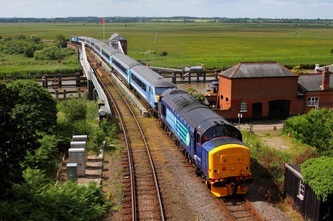 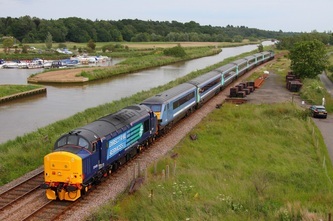 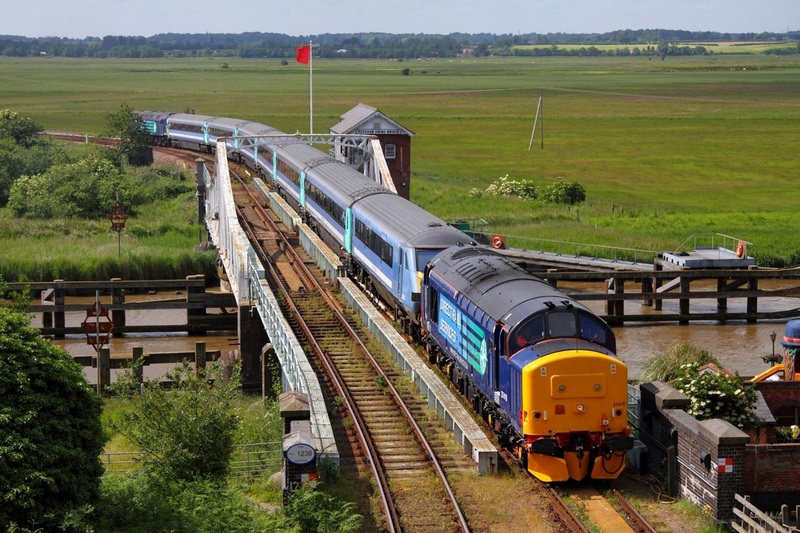 DRS recently reinstated and repainted 37419 leads 82114, 12084, 12026, 12031, 12041, 12049, 12120 and 47828 over the Reedham Swing-bridge whilst powering the 5G91 10:28 Lowestoft to Norwich Lowestoft Airshow special on the 23rd June 2012. 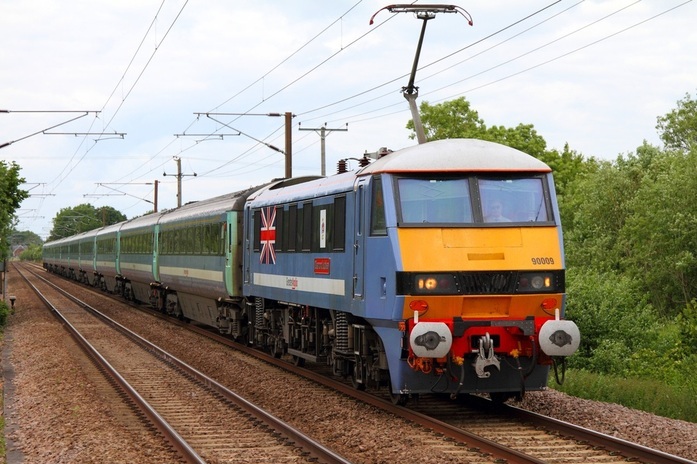 Greater Anglia's 90009 'Diamond Jubilee' works the 1P43 14:00 Norwich to London Liverpool Street at Great Moulton on the 23rd June 2012.